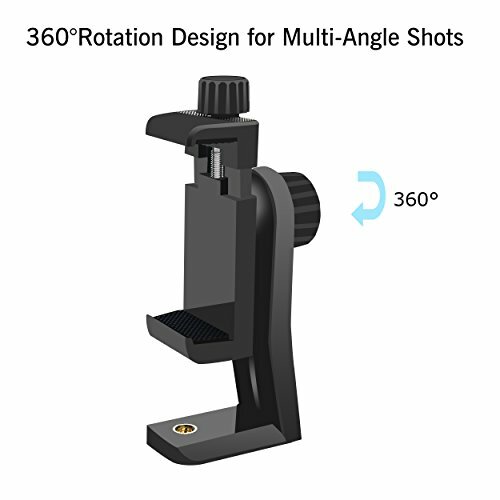 The swivel is also easy to change the Camera,Camcorder and smartphone's orientation (360° rotation) when taking pictures.Inner padding secure your device well and protect it from damage. 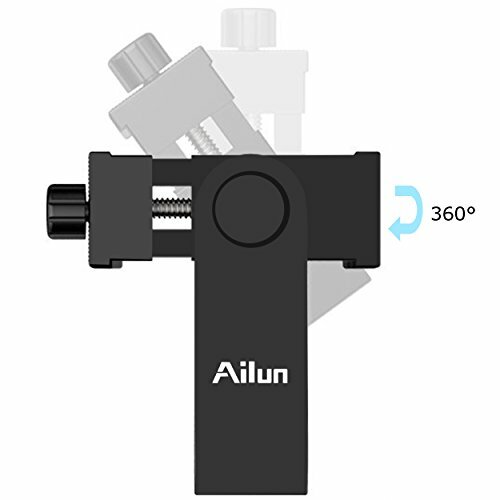 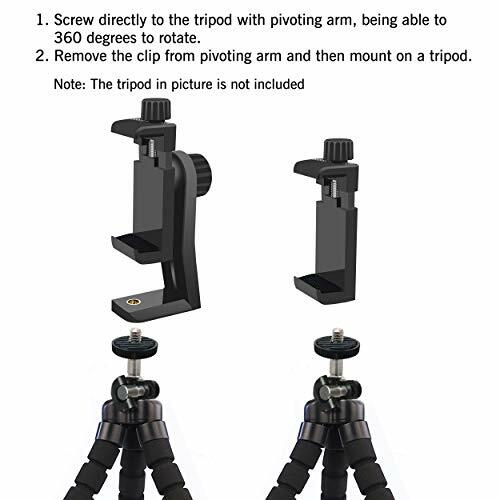 1/4" Standard Screw: Attachable to any regular sized tripod, monopod and smartphone with standard 1/4" screw thread at the bottom. 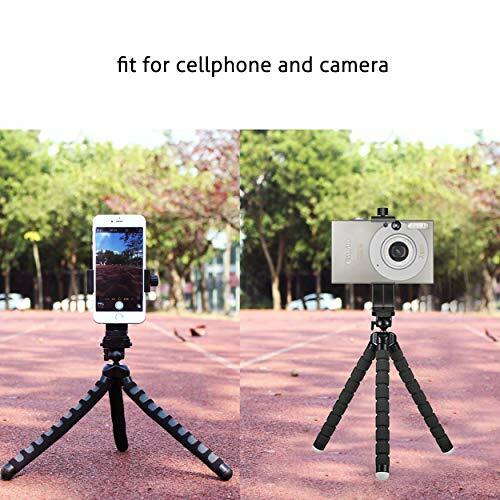 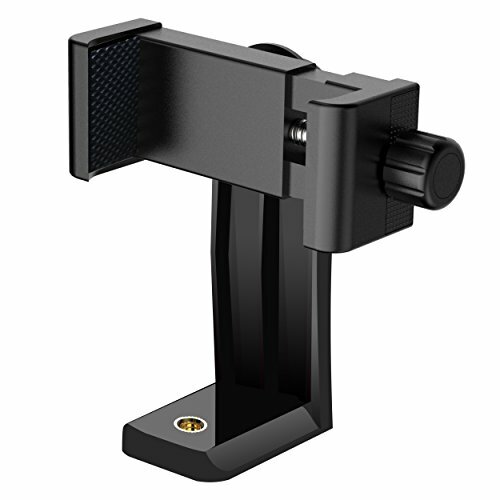 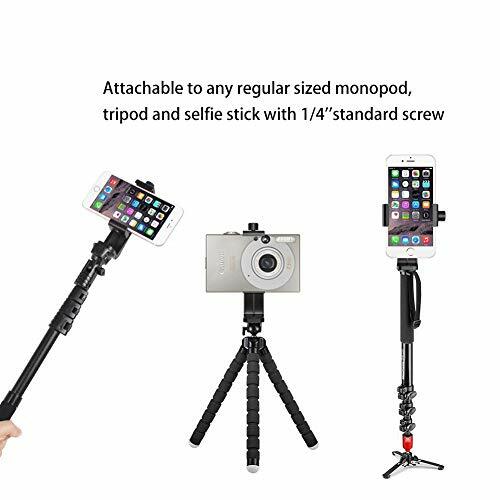 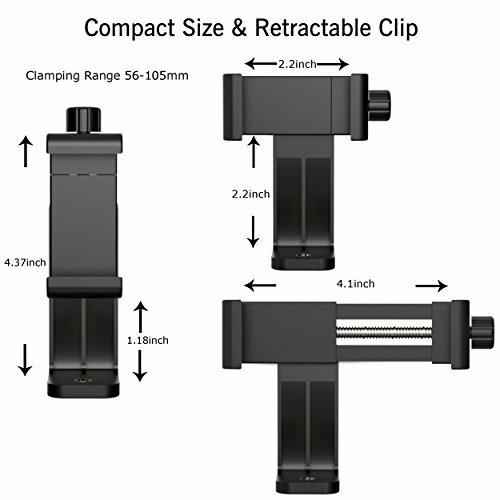 [12-Month Warranty]Retractable&Detachable Holder: Retractable Camera,Camcorder, phone holder fits most cellphones,Cameras,Camcorders and selfie sticks(width between 56mm - 105mm ),including iPhone X/Xs/XR/Xs Max,8/7/6/6s, iPhone 6/6s plus, iphone SE/5s/5/5c,Samsung Galaxy S9/S9+,S8/S8+/S7/S6/S6 edge, Note 9 8 5 4 3 and so on. 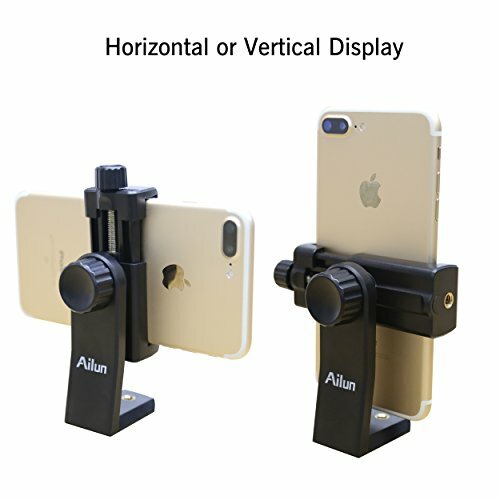 And it extremely easy to get adjusted to hold or release your phone.